Looking for more local spots in Paris? Make sure you get yourself a copy of our 2019 INSIDR Free Paris Travel Guides! Beginning to plan your vacation in Paris and hoping to begin also dreaming about foodie spots? Look no further! We have compiled all of our top tips to restaurants, food markets and food shops in Paris in this very article to make your next Parisian adventure delicious! While many consider Paris to be an expensive city, there are plenty of delicious, authentic French restaurants and dishes that you can enjoy on a budget, especially if you’re renting an Airbnb in Paris and want take out to eat in your Parisian home! Alternatively, you can also partake in the typical Parisian activity of shopping at fresh food markets and cook a meal in your Parisian home yourself. Checkout our guides to take out and markets in Paris below. The best outdoor food markets in Paris for local produce! If you are still looking to dine out in the city, one of the most delicious and cheapest French dishes you can enjoy in Paris are crêpes, and luckily we have a whole article outlining the absolute best places to eat crêpes in Paris right here. Another great meal to eat out in Paris is brunch. Our guide below to the best cheap brunch spots in Paris include locations where you can indulge in a massive brunch for under 20€, keeping you full for your whole day of adventuring in Paris! Are you looking to try traditional food in Paris? What have you been dreaming of? Every French dish you have ever dreamed of eating is outlined in our Top 10 Must Eat in France article below. 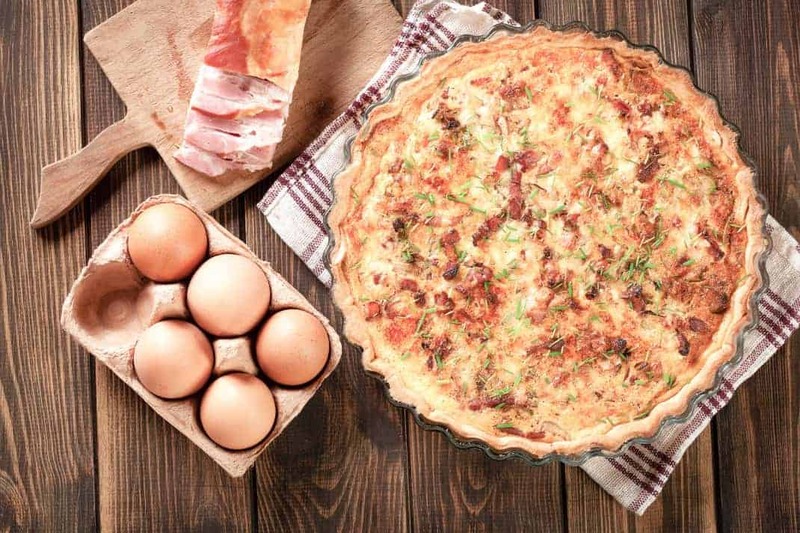 If you want to know a bit more about the French dishes you are consuming, have a look through our guide to French regional food to learn about where some traditional French dishes come from. Paris’ cuisine consists of yummy brunches, mouth-watering crêpes, hardy stews and… pastries. Be sure not to miss out on trying some of the best French pastries during your stay in Paris, you will truly regret it! A favorite pastry of many Parisians and tourists alike are macarons. Click on our guide to the most delicious French pastries and macarons in Paris right here!